“There was a great feeling in the room. It was wonderful to see all the smiles on the faces of the women,” said Trish, a volunteer at Calvary’s recent Women’s Health Fair. Women come to Calvary with a myriad of health-related challenges. Many have chronic health problems, are survivors of domestic violence, struggle with addiction, and/or live with mental illness. 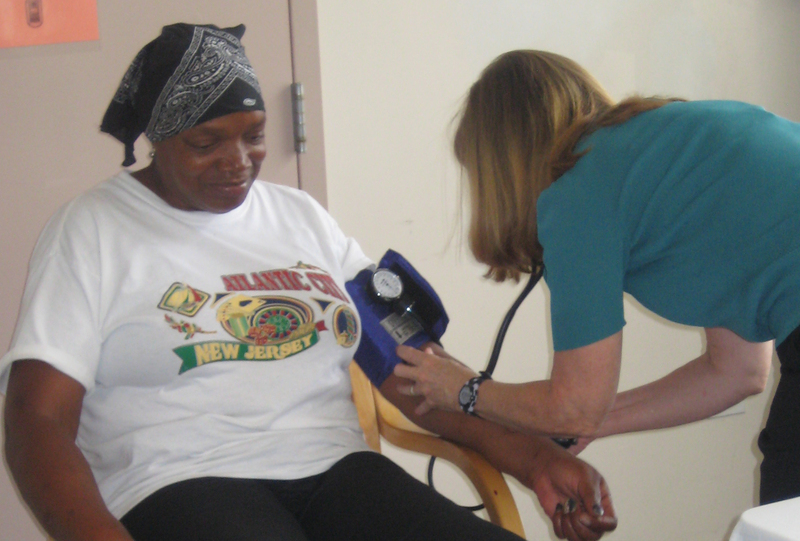 To help women gain a holistic view of their health, Calvary holds an annual Women’s Health Fair. The theme of this year’s event was Sisterhood: Caring for our Mind, Body, & Soul. The fair was held at Calvary Women’s Shelter with 11 local organizations and health care providers participating. Over 50 Women from various housing programs attended, enjoying a day of education, relaxation and fun. 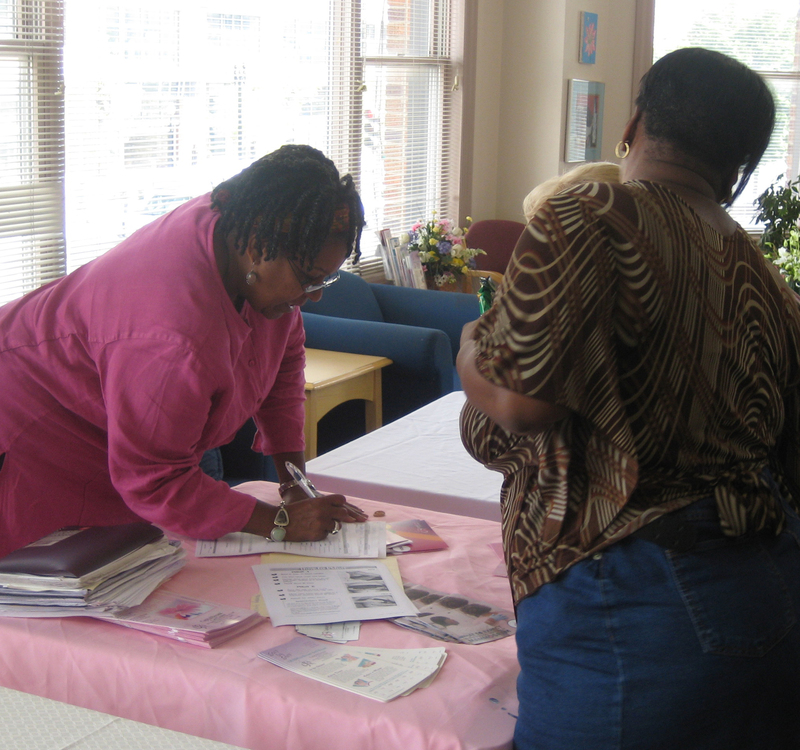 Wanda, of the Capital Breast Care Center had the women engaged and talking about their breasts. By the end of the session, six women had signed up for mammograms and pap smears with the CBCC. Free and confidential HIV testing was available to all women courtesy of the Women’s Collective. For the first year line dancing was offered and quickly became a crowd favorite. Thank you so much to all the volunteers who made this year’s Health Fair a huge success. We could not have done it without you. Interested in helping out with the fair next year or volunteering to provide other forms of self-care to the women at Calvary throughout the year? Email us at volunteer@calvaryservices.org.